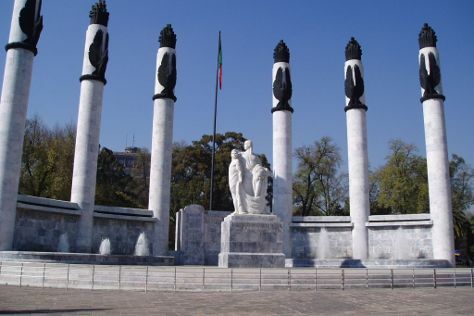 Explore hidden gems such as Pyramid of the Sun and Chapultepec Park. Get out of town with these interesting Mexico City side-trips: Tula (in Tula de Allende), Archaeological Zone of Xochicalco (in Cuernavaca) and Tepozteco (in Tepoztlan). There's much more to do: don't miss a visit to Murales de Diego Rivera en la Secretaria de Educacion Publica, let the kids burn off some steam at Parque Espana, get in on the family fun at Six Flags Mexico, and take a stroll through Ciudad Universitaria. If you are flying in from United States, the closest major airports are Licenciado Benito Juarez International Airport, Querétaro Intercontinental Airport and General Francisco J. Mujica International Airport. In November, daily temperatures in Mexico City can reach 71°F, while at night they dip to 49°F. Wrap up your sightseeing on the 21st (Tue) early enough to travel back home.